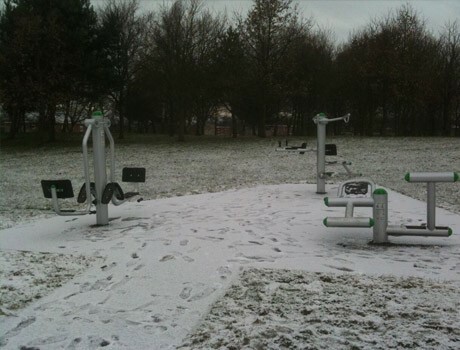 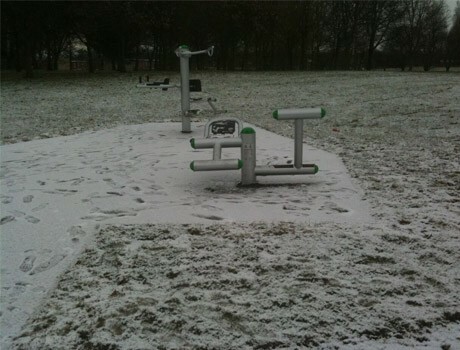 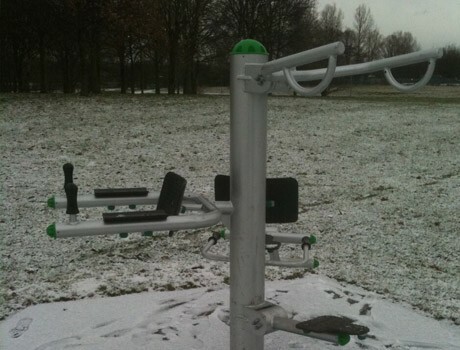 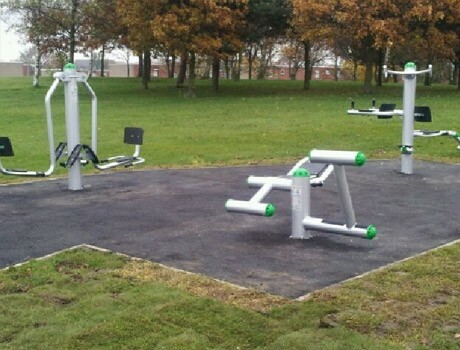 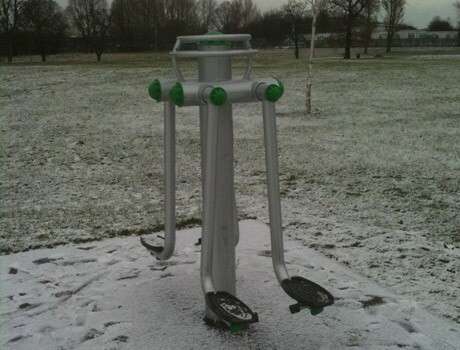 Great Aycliffe Town Council procured their new outdoor fitness area through a design and build tender process. 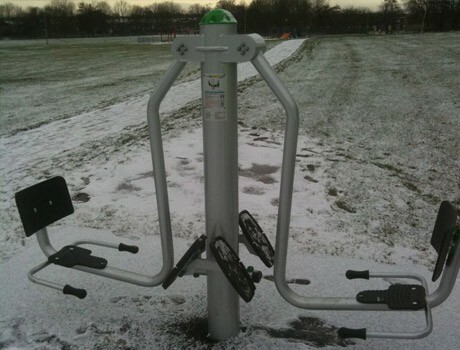 The Town Council recognised the latest popular outdoor fitness interest and saw the value of providing this fully accessible gym zone for free use by the local residents. 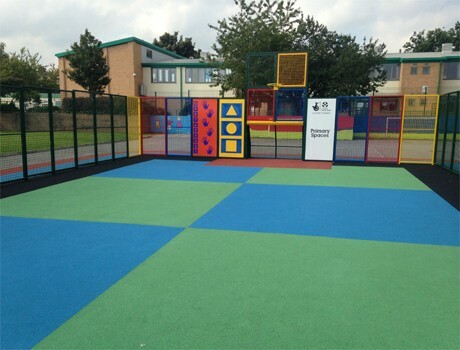 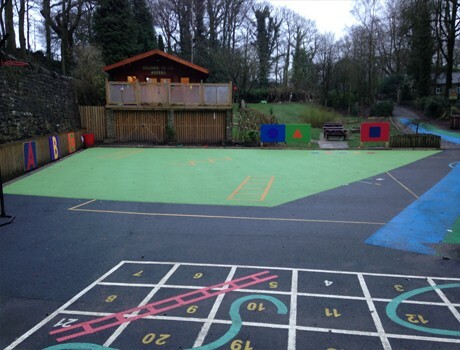 The outdoor fitness area was prepared with a new tarmac pad to prevent contaminating the new outdoor gym equipment with mud and to provide a fully accessible area. 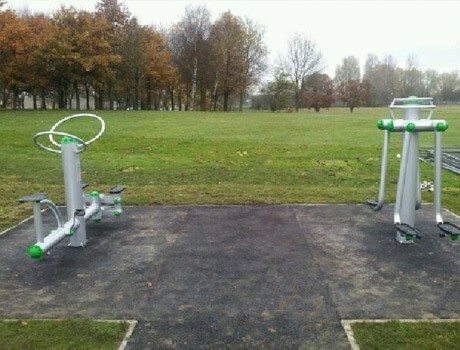 The outdoor fitness equipment included 5 pieces from our Alfresco range, Situp and Back Extension, Bike and Stepper, Dual Abductor, Tri Fitness Station and Dual Leg Press. 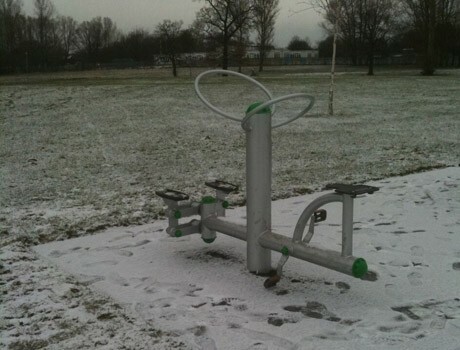 All the outdoor fitness equipment is designed, manufactured and certified to the TUV DIN79000 Standard.